15.11.2017: University of Bern: Physikalisches Institut. I am impassioned by the atmospheric evolution of planets from rapid (~ days) to geolgoical (~Gigayear) timescales. Atmospheres far from the Earth can be strongly influenced on observable timescales by intense magnetic fields, solar insolation, and even gravitational tidal forces (e.g. Galilean satellite atmospheres). Solar insolation in particular has been shown to trigger rapid escape in the atmospheres of Super Earths, evaporating their thick atmospheres. 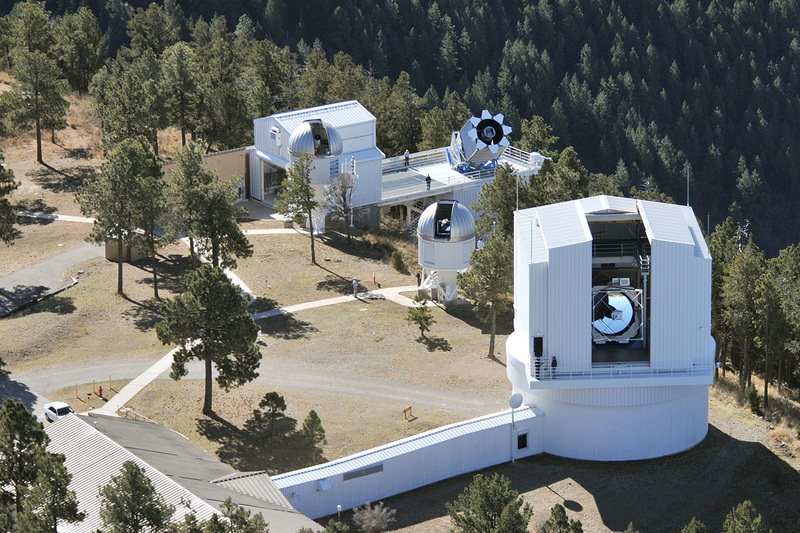 These evolutionary mechanisms can fortunately be observed by both ground-based and space-based observatories, illuminating their very origins. I use both analytic and numerical models to compare to the latest observations, in search for signatures of the dynamics occurring in these energetic atmospheres. My dissertation research at the the Observatory of Paris doctoral school, under the direction of Francois Leblanc at LATMOS, focused on understanding the orbital evolution of tenuous atmospheres, also known as exospheres when molecular collisions become trivial. The ocean worlds Europa and Ganymede are of grand interest, whose O2 atmospheres are strongly dependent on the tidally-locked revolution around Jupiter. What is remarkable about these worlds, is that the O2 atmospheres are interacting with the icy surfaces, which may eventually feed the salty, subsurface oceans. I also work on the volatile evolution of these bodies as well as Kuiper Belt Objects with Bob Johnson at the University of Virginia. 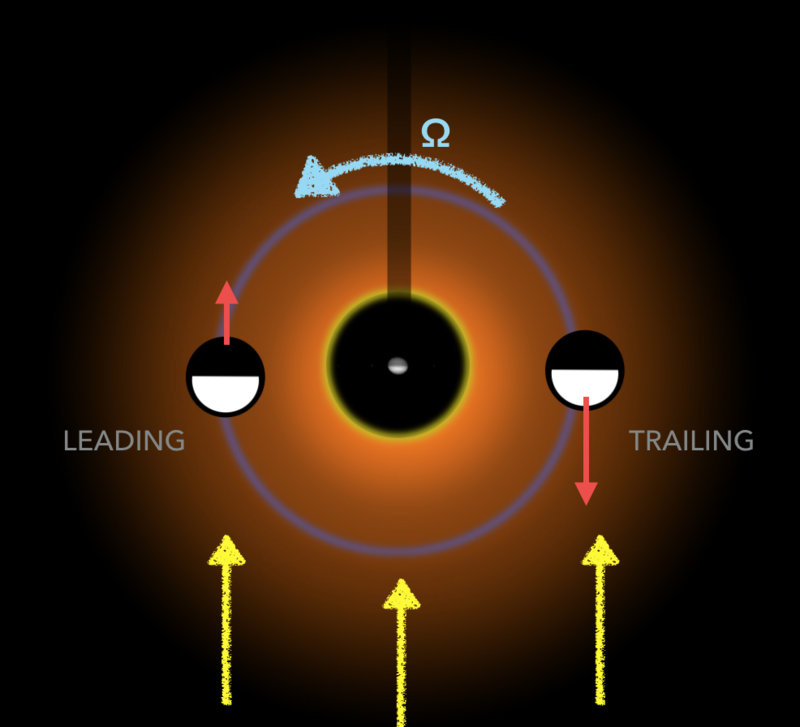 Here is a top-down illustration of the satellite’s sunlit leading & trailing hemispheres orbiting in the Io-plasma torus with the three external influences highlighted. Red vectors = the O2 source (sputtering). Yellow vectors = the solar radiation, fixed at the bottom of the page. Blue vector = the revolution around Jupiter. The above geometry of the three external influences results in a 'Rotation-Driven exosphere." The molecular oxygen components of Europa and Ganymede's exospheres are thought to be rotation-driven. On these two satellites, the result of this rotation is a large atmospheric bulge near dusk, local time. The Galilean satellites present excellent testbeds to understand the behavior of a tidally-locked atmosphere, that is an atmosphere on a tidally-locked body. These bodies are common place in exoplanet observations, where in the above illustration, the primary body is of course a star. These extreme environments deserve focused observational searches in order to characterize their atmospheres. While we wait for our simulations to converge, and our observations to be taken, I am in our space instrumentation laboratory, LATMOS, where we are developing an application for a sensitive exosphere instrument using nanotechnology. 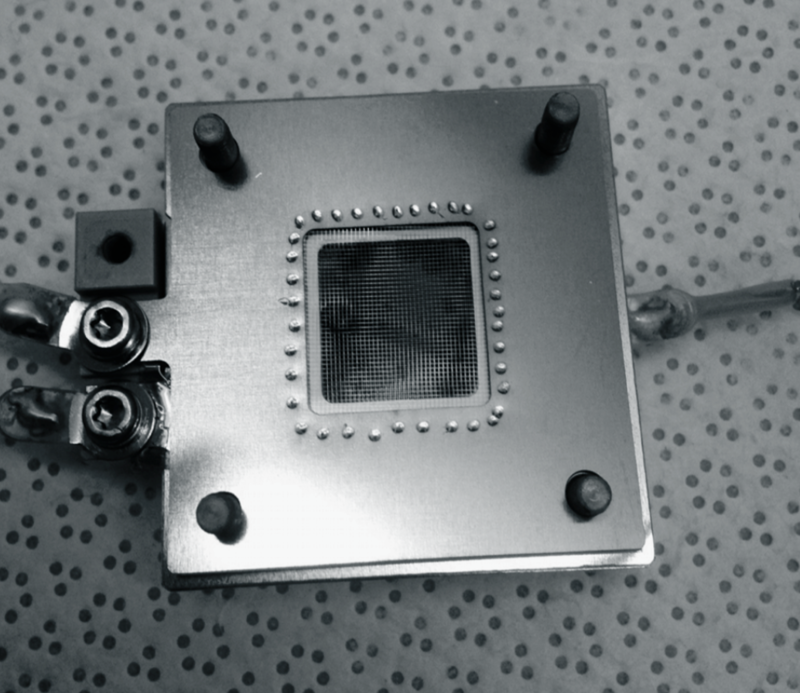 Pictured above is our Carbon Nanotube Electron Gun (CNTeg) which is capable of emitting a stable current of 100 microAmps with less than 10 milliwatts of power. 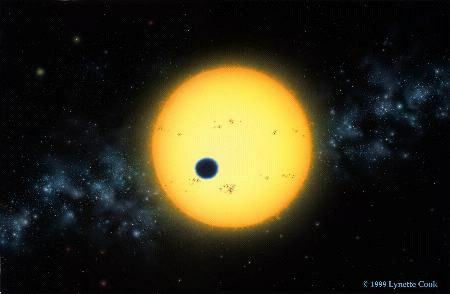 A tool to time the next transit of your next exoplanet target. 4 Place Jussieu, Tour 45/46, 4eme etage. © A.V.Oza 2017. All rights reserved. Design: HTML5 UP.